What are you doing in August? 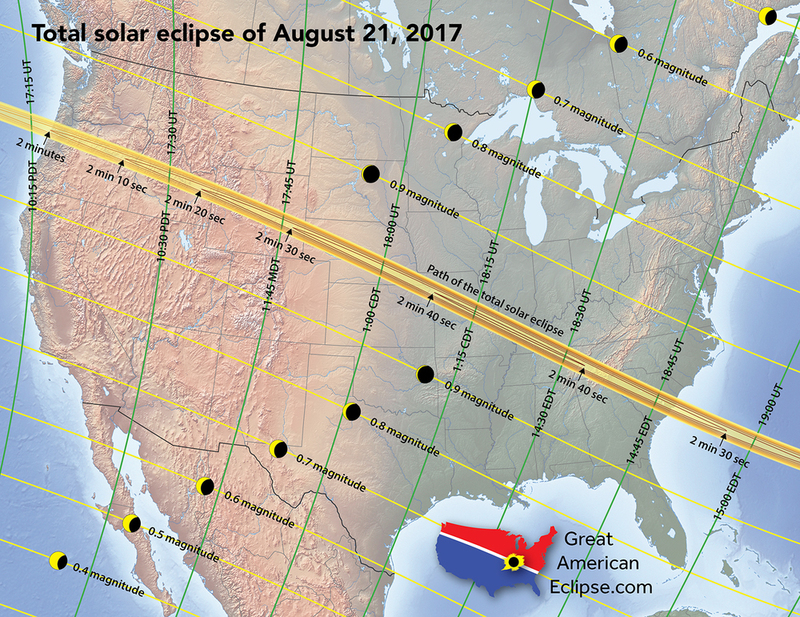 Well, if you plan ahead, you could see an extraordinary celestial show that the U.S. hasn’t seen since 1979! For this first time in 38 years, parts of the U.S. will go totally dark during the middle of the afternoon. The reason? A total solar eclipse. 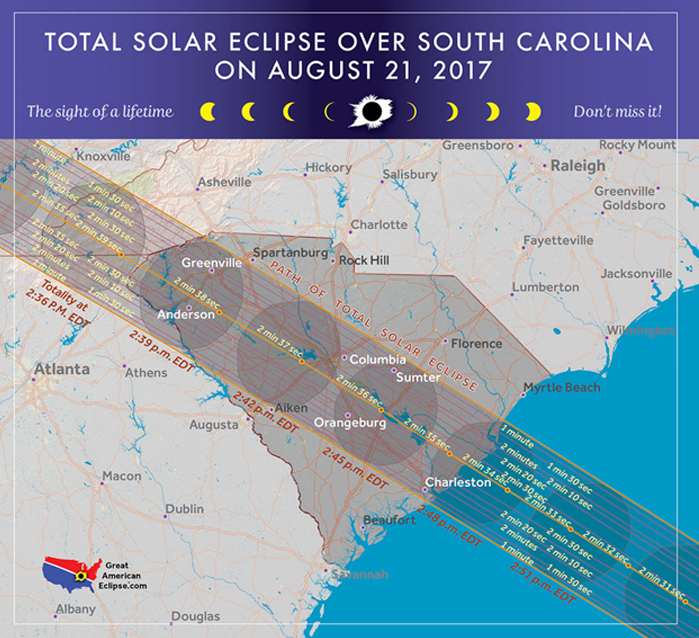 On August 21 of this year, the moon is expected to pass between the sun and the earth at just the right angle to create a shadow from Oregon through South Carolina. The shadow will be roughly 100 miles wide. It will begin at 1:25 p.m. ET and last a full 2 minutes and 40 seconds. Here is a look at the full path across the U.S.